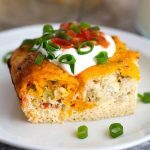 This Easy Breakfast Egg Bake has a wonderful Southwest flavor, but is versatile enough that you can make it Italian, or any flavor you like! Breakfast is a fun meal to prepare! I love a nice breakfast! 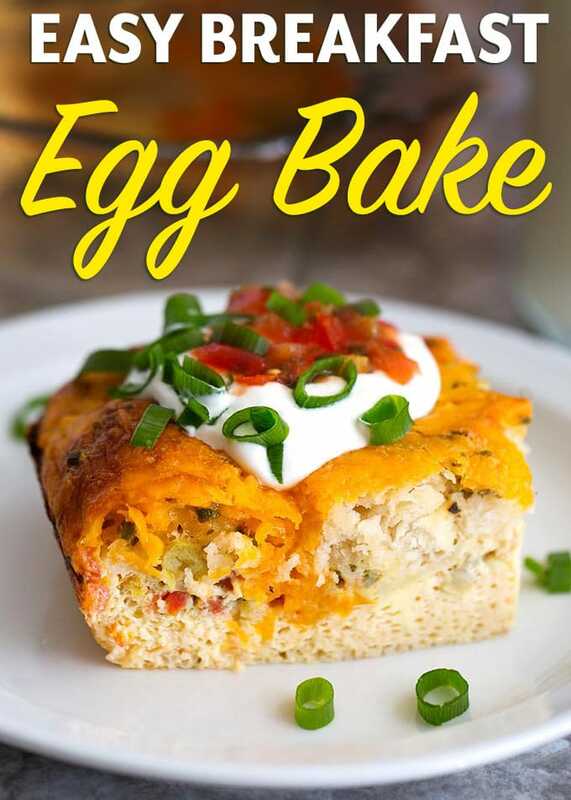 While working full time, it isn’t always easy to make something that is warm and savory, especially something like this Easy Breakfast Egg Bake. But come the weekend, I’m all ready to get up and cook this savory, flavorful, and Easy Egg Bake! I love how the biscuits and eggs blend well together and become soft and fluffy. This recipe doubles easily to fit in a 9″x13″ baking dish, and will feed a crowd! 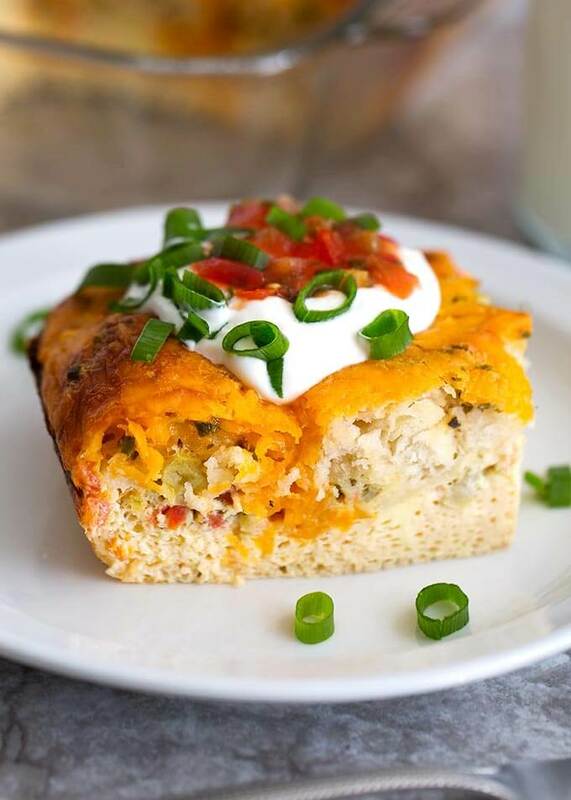 We like to make this for brunch parties when the guys are over for an early race or game. 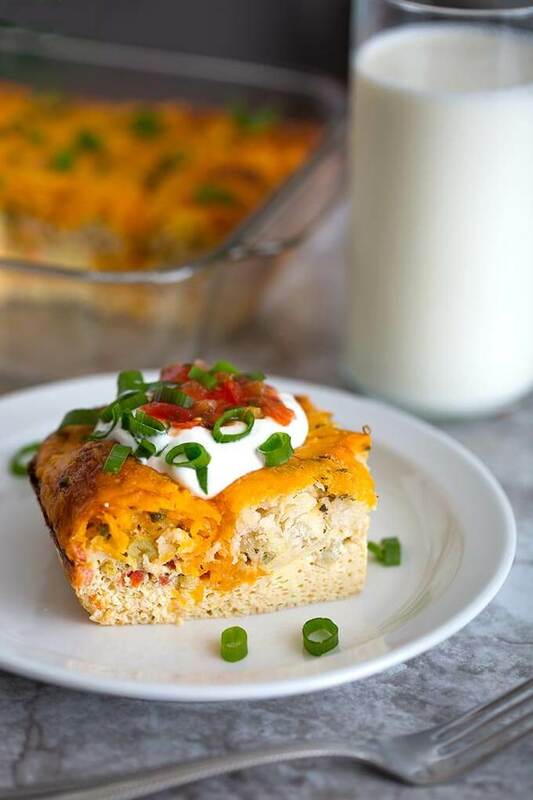 This Easy Breakfast Egg Bake has a wonderful Southwest flavor, but is versatile enough that you can make it Italian, or anything! Spray a 8”x8” baking dish and Turn on oven to 350 degrees (F). Tear each biscuit into 4 or 5 pieces and arrange in the bottom of the baking dish. In a mixing bowl, whisk together eggs, milk, salsa, chiles, chives, garlic powder, salt, pepper, and oregano. Sprinkle the meat on, if using, and then the cheese evenly over the top. Bake at 350 degrees (F) for 30 to 40 minutes, or until the cheese browns, and the center is firm when touched. Garnish with sour cream and salsa for a wonderful, tasty dish! This recipe doubles well (use 12 eggs).